Stylish designer bistro chair with a decorative back panel. Comfortable for the customer and long lasting for a commercial business. Manufactured with a dark Wenge finish. This is a stock item. 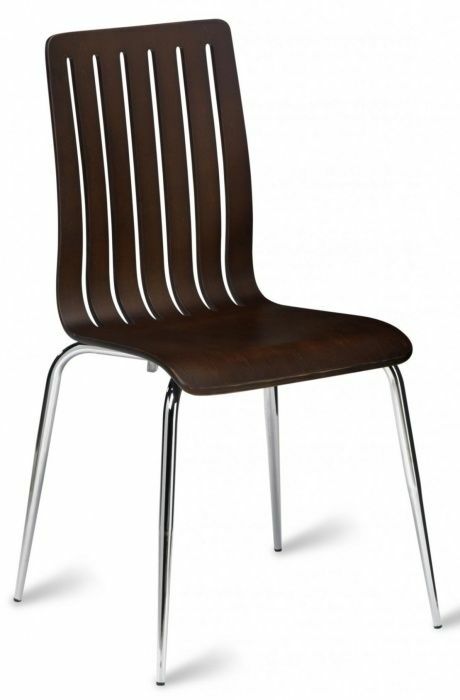 Commercial bistro chair with a natural plywood seat stained for a Wenge finish. The chair includes designer slots on the back of the chair for a modern and alternative look.